Known as both the Great Commoner and as the author of disfranchisement provisions in Mississippi’s Constitution, James Zechariah George was born in Monroe County, Georgia, on 26 October 1826. His family moved to Carroll County in 1836. George served in the Mexican War in the First Mississippi Regiment, commanded by Jefferson Davis. On 27 May 1847, George married Elizabeth Brooks Young. He gained admission to the bar and became clerk of the High Court of Error and Appeals, prospering enough to increase the number of slaves he owned from twelve in 1850 to thirty a decade later. George won election to the state secession convention of 1861 and signed the Ordinance of Secession. During the Civil War he served as an officer in the 20th Mississippi Volunteers and the 5th Mississippi Cavalry, was captured twice by the Union Army, and spent two years as a prisoner of war. After the conflict ended, George resumed the practice of law, establishing a profitable and high-profile partnership with Wiley P. Harris. 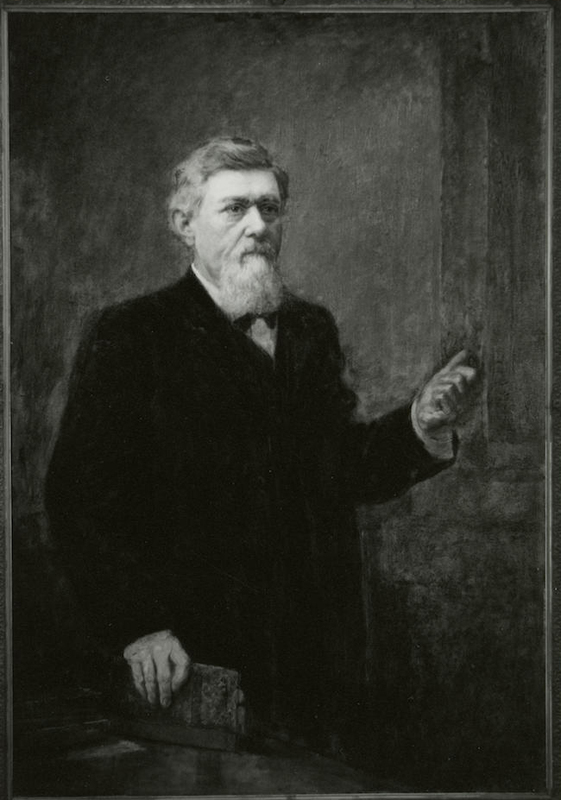 In 1879 George was appointed to the Mississippi Supreme Court and elected chief justice. He also served on the board of trustees of both the University of Mississippi and the Agricultural and Mechanical College of the State of Mississippi (now Mississippi State University). He was elected to the US Senate in 1880 and won reelection in 1886 and 1892, though his final campaign was tainted by fraud and violence. He served for many years on the Senate Judiciary Committee and chaired the Agriculture and Forestry Committee. George authored three books, Decisions of the High Court of Errors and Appeals, Digest of the Decisions of the High Court of Errors and Appeals, and The Political History of Slavery in the United States, which was not published until nearly two decades after his death. George was generally popular and greatly respected among white Mississippians, in large part as a result of his effective defense of white supremacy. During the 1875 election, George persuaded Republican governor Adelbert Ames not to arm the African American militias by promising to try to ensure that the election was fair and peaceful. The Democrats won the election and assumed complete control of state government, ending Reconstruction in Mississippi. George also devised the provisions of Mississippi’s 1890 constitution that denied the franchise to African Americans without violating the letter of the Fifteenth Amendment and provided the “understanding clause” as a loophole for illiterate whites. He supported increasing the representation in the state legislature for the predominantly white counties. When Republican senators in Washington criticized the new Mississippi Constitution, George defended its voting provisions on the Senate floor. His approach was scholarly and legalistic. He pointed out northern states had for decades used the same sorts of franchise provisions and had maintained them even after the Civil War. George declared that African Americans should be treated fairly but also that they were incapable of responsible citizenship. George died in Mississippi City, Mississippi, on 14 August 1897. More than three decades later, the state honored him and Davis with bronzes in the National Statuary Hall in the US Capitol. George’s home, Cotesworth, near North Carrollton, is listed on the National Register of Historic Places.